Let’s start with an introduction: Who is Cecilia Dart-Thornton? I was born and raised in Melbourne, Australia and graduated from university with a Bachelor of Arts degree in sociology. I became a schoolteacher after leaving university. Over the years my hobbies have included painting in oils, tapestry, clay sculpting, performing in folk music bands, and growing heritage fruit. I am a keen supporter of animal rights and wilderness conservation. 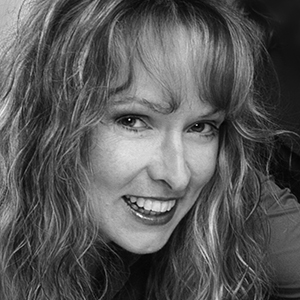 I became a full-time writer in 2000 after my work was discovered on the Internet and published by Time Warner (New York). My books are published around the world and have been translated into several languages. Your Bitterbynde Trilogy will be published by Open Road Media this month. It looks rather interesting: How would you introduce it to a potential reader? 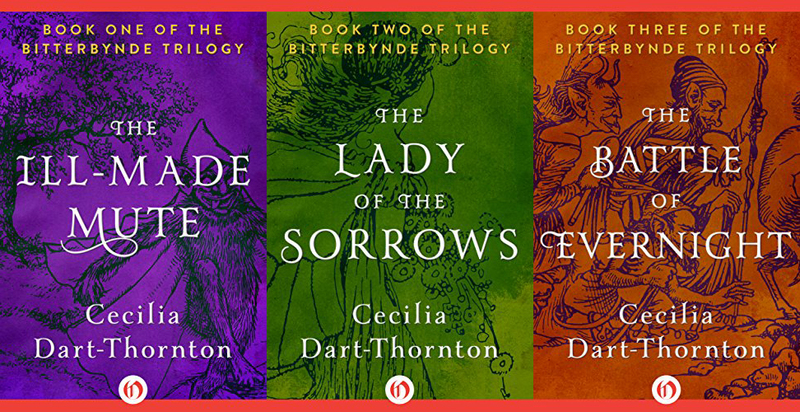 The Bitterbynde is a fantasy trilogy that comprises The Ill-Made Mute, The Lady of the Sorrows, and The Battle of Evernight. The story opens with readers seeing through the eyes of a deformed mute with no memory. This foundling resolves to seek a cure for the deformities and the amnesia. Meanwhile a strange world unfolds on every side. The world is populated with — nay, teeming with — ‘eldritch wights’. These are supernatural creatures whose nature ranges from friendly (‘seelie’) to mischievous (‘tricksy’) to downright dangerous (‘unseelie’). They come in all shapes and sizes and may be monstrously ugly or spellbindingly beautiful. Their looks have no correlation with their inclinations. The protagonist journeys through this world, and many’s the adventure that befalls. At the end of the second book part of the quest is fulfilled, and at the end of the third — but I want to avoid giving any spoilers here. As a matter of fact while writing the trilogy I worked hard to keep a good many things secret, so many surprises pop up throughout the trilogy and it’s rather difficult to talk about the story without giving them away. I hope this brief snippet is enough to whet people’s appetites! The term ‘Bitterbynde’ refers to an unbreakable promise or oath. It’s this magical bond that causes quite a deal of anguish to the protagonist. Ever since I can remember I have been driven by a desire — a need — to create, in words, a secondary world of my own. My own Middle-Earth, if you like, or my own Narnia — yet neither of those; a world that was uniquely mine. I began writing about this realm many years ago. Gradually the words accumulated, until the imaginary universe containing the planet Aia was almost fully-formed. Then I introduced a protagonist. At that time I was unsure who this person was, or what their destiny might be. I myself still had much to learn about my new universe. Thus, through the eyes and experiences of my protagonist I began to explore. A story unfolded. It had a beginning — it only needed a middle and an end… many were the hours I spent trying to find that middle and end. Many were the versions that dawned on me, were looked at from every angle and ended up discarded because they did not ‘feel right’. Until at last, the beautiful, wonderful plot came to me in all its completeness. As I escaped from the blind walls of ignorance, so my protagonist escaped from the confines of a stone fortress and began a journey through my world. Reading the armloads of fairy-tale and fantasy books (and later, science fiction) my mother brought home from the library every week nourished the seeds. She brought us works by Andre Norton, Alan Garner, Ray Bradbury, Arthur C Clarke, Isaac Asimov, the amazing Nicholas Stuart Gray and and others too numerous to mention. As a child I mentally lived in Narnia until The Lord of the Rings showed me Middle-Earth. It was reading these stories set in alternative worlds that fired me up to forge my own world. And it was Tanith Lee’s extraordinary writing that gave me ‘permission’ to revel in the English language to the fullest. What a tremendous freedom we are privileged to have, as writers! Freedom to work our own hours, in practically any location, wearing practically any clothes (even our dressing-gowns) and freedom to indulge in enjoyable research through books or travel. To top this off, we get to read fan letters from readers who say we have enriched their lives, to meet other authors who are incredibly interesting and inspiring, and to attend amazing conventions. During my writing career I have been blessed with the cream of editors and the cream of publishers. My editors have been perceptive, intelligent, creative. My publishers have pampered me and made me feel special. What’s not to like…? At the same time I am fully aware of just how darned lucky I am, and I never, ever take this life for granted. I recommend the technique of simply writing down your thoughts as they occur to you, without regard to spelling or grammar, just getting Words On Paper. This first step is like collecting clay to make a pottery object. You need the solid mass of raw clay ‘words’ in your hands before you can start to shape them and prettify them with revisions. Many new writers fall into a trap of trying to make each sentence perfect the first time. They become bogged down in this perfectionism and lose the free thought-flow that is the source of their inspiration. So, to begin with just write, write, write! To aspiring writers I also recommend reading really good works by really good authors. Osmosis seems to allow this literary goodness to seep into one’s creative pores somehow. My mother preserved a story I wrote (and illustrated) when I was aged five or six. It was — naturally — a fantasy story, and it was about a prince and a princess. Hearing my parents read to me when I was very young sowed the seeds of my motivation to write. For as long as I can remember, an author is what I wanted to be. Well, I didn’t manage it. I’d been writing fantasy all my life and The Bitterbynde for twelve years, so these release dates were pure coincidence. Anyone who likes The Lord of the Rings and Harry Potter is likely to enjoy my work. Tolkien’s aim was to create a mythology for England, J.K. Rowling’s work is quintessentially British, and The Bitterbynde is founded upon British folklore. Of course I relish this surge of interest in fantasy and science fiction, and over time I’ve hugely enjoyed other genre movies such as Thor, The Avengers, anything by Hayao Miyazaki, the original three Star Wars movies, Back to the Future, Hero, House of Flying Daggers, Crouching Tiger Hidden Dragon, Willow and of course that timeless classic Labyrinth. My inner world and my work is informed in one way or another by all of these! As for written fantasy – I don’t read much any more because I find it hard to immerse myself and suspend disbelief. This is often what happens to specialists; for example, a friend of mine who is a TV producer cannot abide watching TV. We can’t help deconstructing the work of others in our field; looking at it critically and working out how we ourselves might have done it differently. This tends to degrade the in the experience. I am writing non-fiction at the moment, This is a huge change for me, but I am enjoying it. I never dreamed I would ever write about the First World War, but this period in history now fascinates me. Children’s fiction: E. Nesbit. 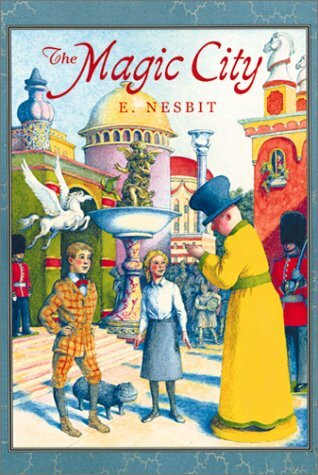 As a youngster I read The Five Children and It (and adored the story) but for some reason I didn’t read many of Nesbit’s other works, so I’ve just finished The Enchanted Castle and have just embarked upon The Magic City. I’ve been struck by the marked similarities between many of the motifs in The Enchanted Castle and the works of C.S. Lewis and J.R.R. Tolkien. I am fascinated by heritage/heirloom fruit. I was first drawn into the world of ancient fruit varieties by their fabulous old names — ‘Snell’s Glass Apple’, ‘Sweet Merlin’, ‘Cornish Gillyflower’, ‘Pig’s Snout’ — you can actually find some of these names in ‘The Lady of the Sorrows’. It was while I was writing that book that I first became aware of heritage fruit. Now I have an orchard of historic apple, fig, medlar, citrus and pear varieties and a pretty vast network of friends who also grow these interesting fruits in the name of preserving DNA, preserving history, and placing the value of flavour over keeping qualities. In my professional life? Finally finishing the Great War biography and sending it off to be published! Thank you, Stefan, for the opportunity to share my thoughts with your readers! Check back on Friday for an excerpt from The Ill-Made Mute. I read & enjoyed the Ill Made Mute Trilogy, when it first came out about 15 years ago & I now have contact with Cecilia via The Heritage & Rare Fruit Network on FaceBook!